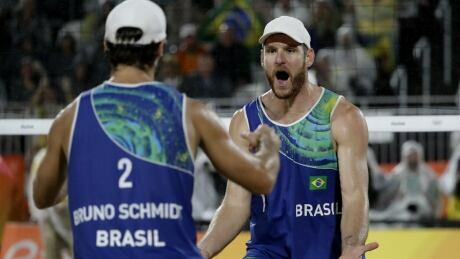 Brazil's Alison Cerutti and Bruno Oscar Schmidt beat Paolo Nicolai and Daniele Lupo of Italy in straight sets, 21-19, 21-17, to win the gold medal in men's beach volleyball on a rainy Thursday night. Germany's Laura Ludwig and Kira Walkenhorst beat Brazil's Agatha Bednarczuk and Barbara Seixas de Freitas to win gold in women's beach volleyball on Wednesday night. The Canadian team of Heather Bansley and Sarah Pavan lost their quarter-final match in beach volleyball, and will not play for a medal. Sarah Pavan and Heather Bansley will represent Canada in the quarter-finals of the women's Olympic beach volleyball tournament following a 2-0 win (21-16, 21-11) over Jamie Broder and Kristina Valjas in Saturday afternoon's all-Canadian matchup in Rio. Cuba’s Nivaldo Nadhir Diaz Gomez and Sergio Reynaldo Gonzalez defeated Canada 2-0 (21-15, 21-18) in Thursday’s pool play finale for both Olympic beach volleyball teams. 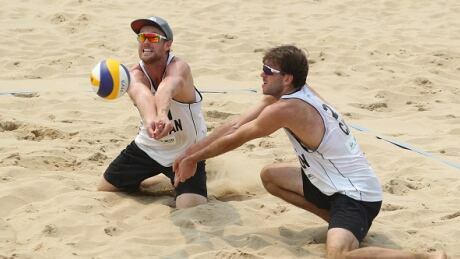 Canadians Josh Binstock and Samuel Schachter were eliminated from Rio's beach volleyball competition on Wednesday, after dropping a three-set match to Austrians Clemens Doppler and Alexander Horst. 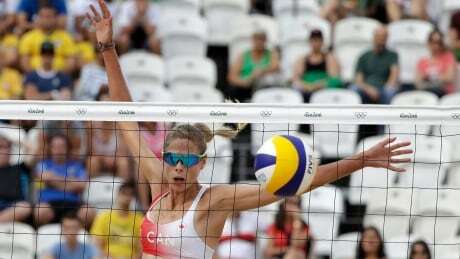 Canadians Sarah Pavan and Heather Bansley moved to 2-0 in preliminary beach volleyball with a win over Switzerland's Joana Heidrich and Nadine Zumkehr Tuesday night. 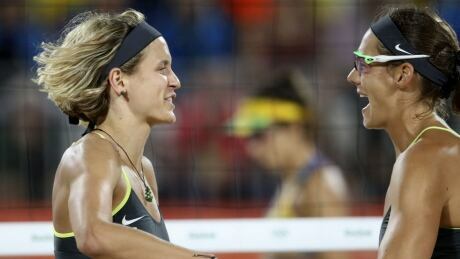 Canada's Sarah Pavan and Heather Bansley defeated the Netherlands in straight sets Sunday in preliminary Olympic beach volleyball action at the Rio Games. 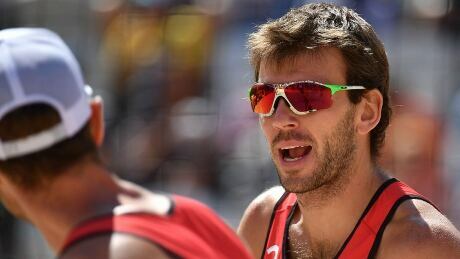 Canadian pair Ben Saxton and Chaim Schalk won a bronze medal on Sunday with a three-set win over Bartosz Losiak and Michal Bryl of Poland on the FIVB World Tour A1 Major. Don't let Ben Saxton's calm demeanour fool you. 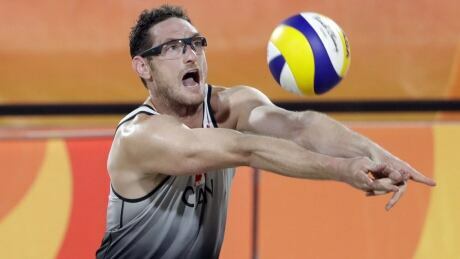 The Canadian beach volleyball player wants a medal as bad as anyone competing at the Rio Olympics. You are currently browsing the archives for the Sports/Olympics/Rio Olympic 2016/Beach-Volleyball category.